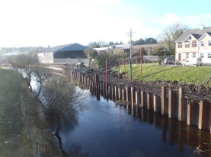 Ward & Burke constructed a new river edge to the Castlebar River for a section of the Riverwalk by driving 170m of 5m sheetpiles. Façade sheetpiles with 2.0m high precast panels cantilevering 500mm over river. 150mm reinforced ground slab for walkway tied into precast panels. Installation of 3no. Pedestrian footbridges for access across river along its route, bridges supported by 4no. 192mm diameter Odex piles with capping beam constructed on top of piles. Replacement of existing footbridge on the Riverwalk at Hobans / Market Square Carpark in the town centre and completion of landscaping works. 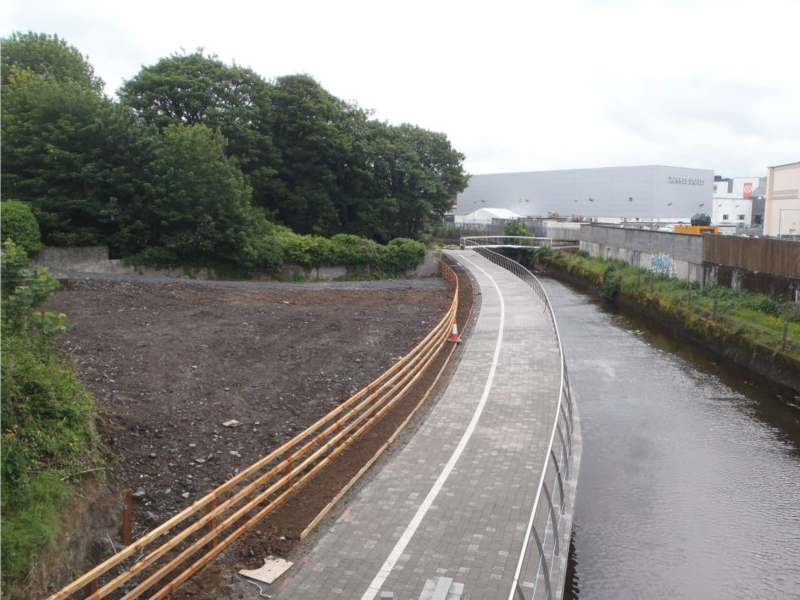 This work included extension of the paving finishes and guardrail to tie into the new bridge structure. Replacement of existing concrete footbridge at the Castlebar Town Park. Demolishment of existing precast and installed steel fabricated bridge. 150m of wrought iron fence constructed on top of 600mm high concrete plinth to retain raised ground levels. New walkway consisting of paved brick constructed for 400 linear meters. 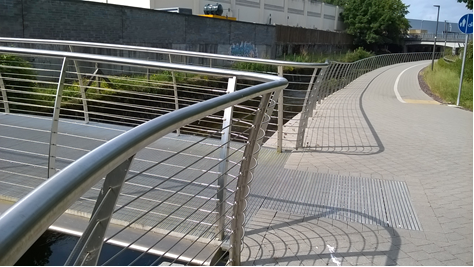 Stainless Steel Guardrail installed along sheet pile retaining wall for edge restraint. Willow Wall constructed for 150m to retain existing bank along walkway edge. Protection to mature trees maintained at all times and root protection zone established where new ground levels increased around tree bark. Public lighting duct laid along extent of site and 17no.light poles erected. 500m of 100mm land drain installed with outlets to river every 80m. Landscaping works including grass seeding, timber fencing, timber edging and plum chip décor used to complete project aesthetics.